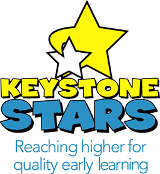 STAR 4 with Keystone STARS! Field trips are a great way to bring kids out of the standard school environment. They can have an educational experience to a zoo, community agency, nature center, or more. There are science museums, hospitals, local businesses, and plenty of other interesting places where kids can have an educational opportunity and provide community service at the same time.